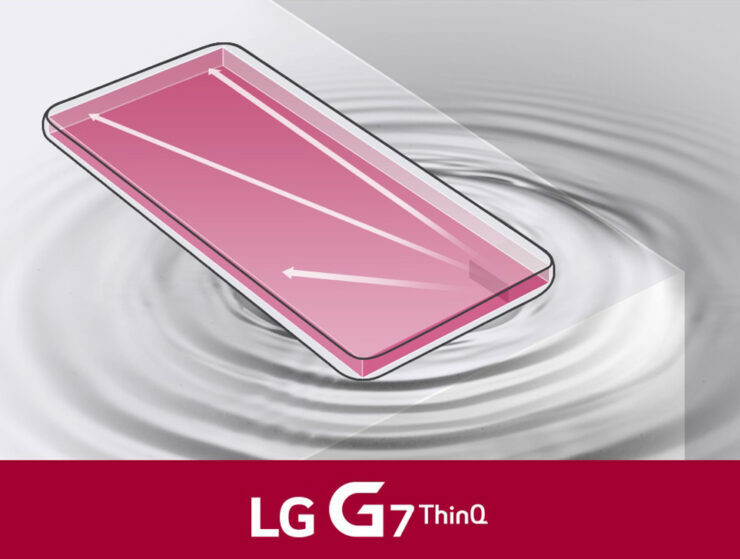 LG is all set to officially announce the upcoming flagship G7 ThinQ on May 2. In the run-up to the announcement, the company has revealed some new details about the smartphone, one which will certainly delight audiophiles or those consumers that enjoy media consumption on their mobile phones. The device is expected to come with a Boombox speaker which is going to have several advantages, one which you will be reading about shortly. According to the Korean manufacturer, it will also offer a bass of more than 6dB, which will be twice of what regular smartphones on the market offer currently. Apparently, the Boombox speaker depends on a special resonance chamber design so you can further amplify the sound output and quality by putting it on a box or a solid surface. The chamber design uses LG G7 ThinQ’s whole body to provide a louder sound input and better audio quality. The phone’s body compliments the loudspeaker and will offer 3D surround sound effects at up to 7.1, thanks to DTS:X support. This difference will be clear even if you use headphones because the flagship will be incorporated with a Hi-Fi Quad DAC. This will result is a clearer sound output as it will decrease distortion rate to 0.0002-percent. The Quad DAC was previously included in LG V30S ThinQ and LG G6. LG G7 ThinQ will also provide support for MQA or Master Quality Authenticated standard; this will enable the phone to output high-quality, high-fidelity streaming with little data capacity consumed. So far, these are all the things that manufacturer revealed today. What we know so far is that the flagship will come with a large 6.1-inch QHD+ Super Bright Display with maximum brightness going up as high as 1000 nits. The phone will also have a notch, which is all the buzz these days when it comes to phones. It will also be powered by Snapdragon 845, Qualcomm’s most powerful chip at the moment. Will you audiophiles want to purchase the LG G7 ThinQ after finding out that it will be able to emanate stellar audio quality? Tell us down in the comments.